Welcome to the website of Americans for Peace Now ("we" or "us"). We've designed this Website (the Website or the Site) to foster debate, and allow people to organize around key issues. 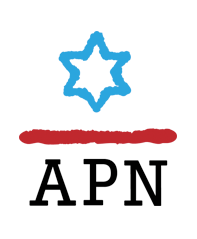 APN promises and assures you that it will not sell, share, or trade donors' personal or contact information with anyone else, nor will we send mailings on behalf of other organizations. Any personal information you provide is kept confidential, stored in a secure location, and is accessible only to designated staff. The terms "users," "you" and " your" refer to any visitor to the Website, including (i) casual visitors (Site Visitors) who do not participate in the organizing and debating activities that take place at the Website (the Opinion Exchanges), (ii) individuals who wish to participate in the Opinion Exchanges that take place at our site, and register at our Site to participate in this manner (Participants); and (iii) individuals who wish to coordinate discussions, debates, and organizing activities on the Site (and who qualify for these tasks). Information you may provide while visiting our Site or while participating on our Site falls into three broad categories: (i) Personal Information; (ii) Position Information; and (iii) Anonymous Information. We use the term Personal Information to mean any information you provide to us over the Site that could reasonably be used to identify you, including your name, address, e-mail address, birth date, financial information, telephone number or any combination of such information that could be used to identify you. We use the term Position Information to refer to information you may provide concerning your position on political and other issues under discussion on our website. Anonymous Information is information that does not identify you, and may include statistical information concerning, for example, users' participation in Opinion Exchanges, or the pages on our Site that Users visit most frequently. Americans for Peace Now, Inc. will not trade, share or sell a donor’s personal information with anyone else, nor send donor mailings on behalf of other organizations. The policy is comprehensive and applicable to both online and offline donors. In order to participate as a Participant in our Services, we require that you complete a registration form. This form asks for contact information, which includes such items as (i) name; (ii) mailing address; and (iii) email address. The registration process provides each Participant with a user name for our Site (the "User Name") and a password, which allow him or her to gain access to the our Site and related functionality. Our system relies on User Names as the public "identifier" for the particular Participant. We use your e-mail address to send notifications relating to our Site, or organizational activities related to the Site. For example, we might use your email address to provide notice that a Participant has received a message or comment from you, and to invite others to join in the exchange on our Site. If you choose to use your non-Participant email address to directly contact a Participant in a group in which you are involved, then you will have revealed this email address to the recipients of this communication. Access to and Use of Participant Information. We use other third party service providers for our Site, and those providers issue licenses to us for the use of the software that creates our Site. Among other permissions specified in this Policy, we give permission to these providers to use the Personal Information of our Participants to provide certain technical support. Any such use by our providers will be subject to your right to opt out of receiving such communications. We believe that our Participants' own experiences on the Site can often act as the strongest promotion for it, the software (licensed to us) that powers the Site, and related services. To promote and illustrate our services you agree that your Content may be used and adapted - without compensation to you - for these purposes. By "Content" we mean the content and information you post on our Site, including information about you and the actions you take. Periodically, we may choose to send news, bulletins, or other information to Participants, and will use Personal Information to send such communications. If we choose to undertake such communications, you will have the ability to opt out of receiving these communications as provided in Changing or Removing Information. Periodically, we may initiate surveys on our Site and we may request Personal Information from you in connection with such surveys. You are free to choose whether you participate in this type of survey. The information we request may include contact information (such as name and email address). Survey information will be used for purposes of monitoring or improving the use and appeal of this Site, and related Opinion Exchanges. We will notify you of relevant details in connection with asking for you participation in such surveys. With our licensor and service-provider, we use Anonymous Information to analyze the effectiveness of our Site, to improve our services, and for other similar purposes. In addition, from time to time, we may undertake or commission statistical and other summary analyses of the general behavior and characteristics of users participating in our services and the characteristics of visitors at our Site, and may share Anonymous Information with third parties, including advertisers (if any). Rest assured, though, that Anonymous Information provided to third parties will not allow anyone to identify you, or determine anything personal about you. We may collect Anonymous Information through features of the software that supports our Services, through cookies, and through other means described below. Either directly, or through our hosting service provider, we may automatically receive and record information in our server logs from your browser, including your IP address (the Internet address of your PC), your computer's name, the type and version of your web browser, referrer addresses, where the computer is routing from, and other generally-accepted log information. We may also record page views (hit counts) and other general statistical and tracking information, which will be aggregated with that of other users in order to understand how our Website is being used, and for security and monitoring purposes. We may send email messages which use a "click-through URL" linked to content on our Website. When you click one of these URLs, you pass through our web server before arriving at the destination web page. We track this click-through data to help determine interest in particular topics and measure the effectiveness of our communications. If you prefer not to be tracked simply do not click text or graphic links in the email, or notify us in accordance with Changing or Removing Information. 9. Any Information Linked With Your Personal Information Is Protected As "Personal Information"
At our option, we will disclose your Personal Information to unaffiliated third parties without your express consent in the circumstances specified below. We will not otherwise disclose your Personal Information to third parties. You agree that we may rely on and share information - including Personal Information -- with educational committees and others, provided the recipients of this Information agree to employ the information for Educational Purposes only (Third Party Educational Use). We will use reasonable efforts to obtain a commitment to this effect from recipients of Personal Information provided via our Website (Downstream Recipients), as specified in Downstream Restrictions below. You further agree that such Downstream Recipients may share such Information further "downstream," provided these "further downstream" users similarly agree to use the information for Educational Purposes only, in the manner set forth in Downstream Restrictions. IMPORTANT LICENSE AND RESTRICTED EDUCATIONAL USES NOTIFICATION. By accessing or using the data contained in this file, the recipient (You or the Recipient) expressly acknowledges and agrees (i) that this data includes personal information originally sourced from a Site website designed for educational uses; (ii) that Your use of this data must comply with data subjects' opt-out and other rights under CAN-SPAM (15 U.S.C. sect. 7701-7713) and other applicable legal requirements; and (iii) that You shall use such personal information FOR EDUCATIONAL PURPOSES ONLY. The term "Educational Purposes" means informing, organizing, identifying issues, and other similar activities. The term "Educational Purposes" expressly excludes commercial use or partisan political activity. You may transfer the data contained in this file to others, provided you include this exact License and Restricted Uses Notification in the file, in a prominent, identifiable location. YOU HAVE NO RIGHT TO ACCESS, USE, OR TRANSFER THE INFORMATION IN THIS FILE UNLESS YOU HAVE UNCONDITIONALLY AGREED TO THESE TERMS AND CONDITIONS. BE ADVISED THAT THIS LICENSE AND RESTRICTED USES NOTIFICATION IS EXPRESSLY DESIGNED TO GIVE DATA SUBJECTS (AND THEIR REPRESENTATIVES) DIRECT RIGHTS TO ENFORCE AGAINST YOU EACH OF THE RESTRICTIONS SET OUT ABOVE. The method for preserving the Educational Purposes only restriction set out in Downstream Restrictions is not the only method for properly preserving such restrictions, and we (as well as our Downstream Recipients and their further Downstream Recipients) may meet this obligation through other means, provided such means offer at least as much protection to the User's interests as the method set out in Downstream Restrictions. Beyond making the efforts specified in this Section, you agree that we are not responsible for the conduct of a Downstream Recipient of Personal Information. For conduct by recipients that you believe is inconsistent with the Educational Purposes restrictions, or other applicable limitations on use, your recourse shall consist of enforcing your rights directly against such Downstream Recipient, either for breach of the License and Restricted Uses Notification set out in Downstream Restrictions or for violation of statutory or other legal obligation. We employ other companies to perform functions on our behalf, such as maintaining the Website, providing services related to the Site, collecting information, responding to and sending electronic mail, or other functions necessary to our activities. For example, we license the software that runs our Site and obtain a range of maintenance and other services from third party providers. We may need to share your Personal Information with these providers and other companies that assist in the running of our Site (collectively, Site Vendors). We will provide Site Vendors with only that Personal Information necessary to perform their functions, and we will not allow them to use your Personal Information for any purpose inconsistent with this Policy. Please keep in mind, however, that we may provide certain Personal Information to these Vendors for additional purposes. We will reveal your Personal Information, to the extent we reasonably believe we are required to do so by law. If we receive legal process calling for the disclosure of your Personal Information we will attempt to notify you via the email address you supplied during registration within a reasonable amount of time before we respond to the request, unless such notification is not permitted. If you feel that you or someone you know has been harassed or bullied on our Site, or that users have infringed on your privacy or violated our Code of Conduct, please report your concerns, using the "Report Abuse" links on our Site. You should take care to employ good "personal information practices" in using our Site, keeping in mind that, if you choose to include in Site-related communications information that personally identifies you -- such as your telephone number, street address, last name, email address, and any geographically recognizable photographs (if such features are available on the Site) - you may be contacted in a manner you do not wish by those who receive this information, as further detailed in Participant-Directed Information. To allow appropriate control over Personal Information, you can access your account (after supplying your User Name and password) to change your comments or your password, or to correct your email address for errors. If we choose to send to you bulletins, updates, or other communications, including fund-raising related materials, we will provide you with the ability to decline -- or "opt-out of" - receiving such communications. Instructions for opting-out will be provided if and when we determine to send you such a communication. Please understand that you will not be allowed to "opt-out" of formal notices concerning operation of this Website, and legal and other related notices concerning your relationship to the Site. Finally, if you have provided us with Personal Information in connection with your use of this Site, upon your request, we will remove this Personal Information from our Website databases. Please understand, however, that it may be impossible to remove this information completely, due to backups and records of deletions. In addition, please understand that, if you request deletion of your information, you will be unable to utilize associated features of the Website and any associated Services. You may not remove de-identified, anonymous, or aggregate data from our databases. Limitations on Deleting Information; Public Databases and Non-Website Information. We have put in place security systems designed to prevent unauthorized access to or disclosure of personally identifiable Site-Directed Information you provide to us, and we take all reasonable steps to secure and safeguard this Site-Directed Information. Our Site's password-protected section requires Users to give us unique identifiers such as their user id and password. Our employees (and employees of our affiliates and Site Vendors) are required to acknowledge that they understand and will abide by our policies with respect to the confidentiality of Personal Information. Our security systems are therefore structured to deter and prevent unauthorized users and others from accessing information you provide to us. We also use software programs to monitor network traffic to identify unauthorized attempts to upload or change information, or otherwise cause damage. Please understand, though, that this information should not be construed in any way as giving business, legal, or other advice, or warranting as fail proof the security of information provided by or submitted to our Site. Due to the nature of Internet communications and evolving technologies, we cannot provide, and we disclaim, assurance that the information you provide us will remain free from loss, misuse, or alteration by third parties who, despite our efforts, obtain unauthorized access. If we detect, despite the safeguards set out above, an intrusion or other unauthorized access to or use of Personal Information (an "Intrusion"), we will (i) notify effected users of the Intrusion if the information at issue is sensitive, as determined by law, (ii) deliver this notice by the means we deem most efficient under the circumstances (such as, for example, first class mail or email); (iii) use contact information for each effected user that is current in our files; and (iv) use commercially reasonable efforts to accomplish these steps and effect this notice in a timely manner. To the extent applicable law requires steps in addition to those specified above, we will under all circumstances comply with applicable law. Our interest in protecting the privacy of our users, and allowing our users to choose the level of information they provide, applies particularly to younger visitors to our Site. Younger visitors may not understand the potential drawbacks of sharing Personal Information while participating in Opinion Exchanges on our Site. Therefore, due to this concern, and due to federal policy in favor of protecting children under 13 years of age (as reflected in the Children's Online Privacy Protection Act), WE DO NOT ALLOW INDIVIDUALS WHO WE KNOW ARE UNDER 13 TO PARTICIPATE IN OUR SITE OR SERVICES. Please understand that we cannot necessarily tell if a user is providing us with his or her true age. YOU MUST BE AT LEAST 13 YEARS OLD TO USE OUR SITE AND SERVICES. IF YOU ARE BETWEEN 13 AND THE APPLICABLE AGE OF MAJORITY, PLEASE REVIEW THIS AGREEMENT WITH YOUR PARENT OR GUARDIAN.